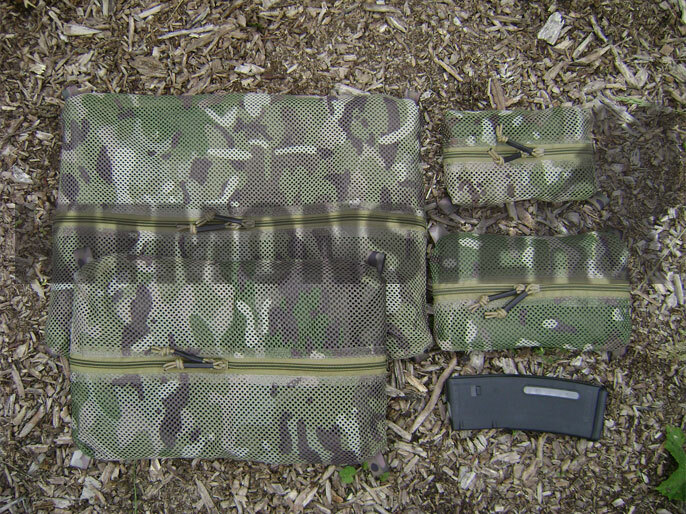 Set of 4 mesh stowage bags in multicamo mesh. 2 way zip access, hanging or tie down loop on each corner. One each of the following; small (20 x 12), medium (24 x 15), large (38 x 25) and extra large (48 x 36), figures given are approximate external measurements in cm. Nylon mesh material allows the contents to 'breathe', particularly important for items that have to be put away wet such as shelter sheets and waterproofs. Small and medium sized bags have 2 strips of the hook half of hook & loop (like Velcro) on the rear, allows the bag to be fitted to anything with suitable fixing. 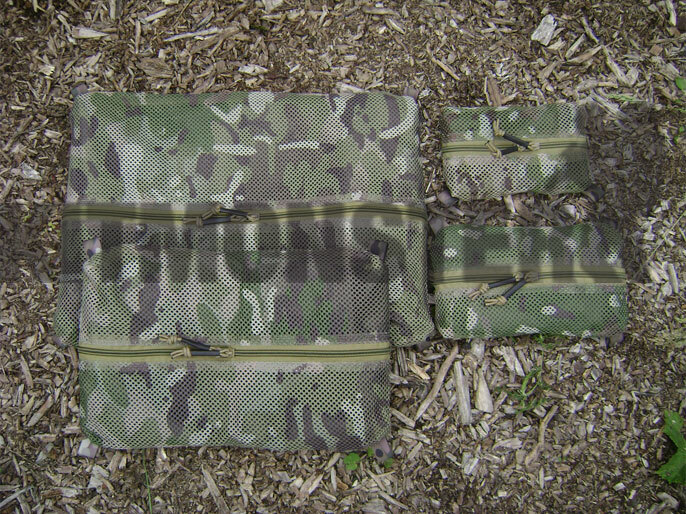 Multiple images shown, set of 4 empty bags supplied. 5.56mm magazine for scale only, this is not included. 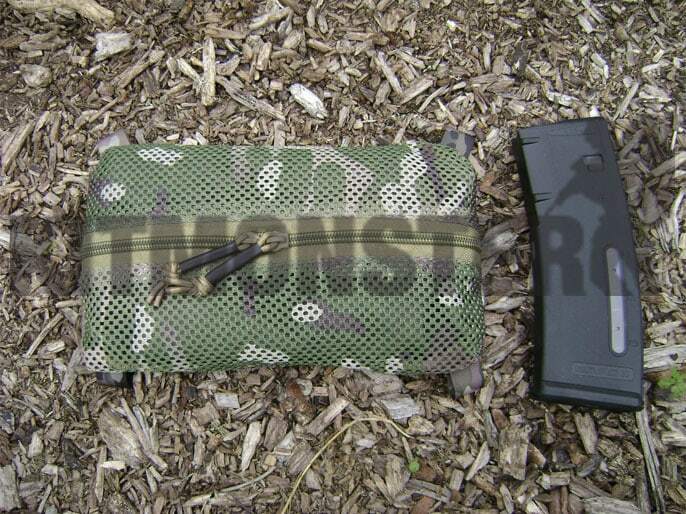 last image shows the size medium bag for reference.